The next Men’s World Floorball Championships will be held in Helsinki in December 2020. Even though it’s almost two years to the event, most partnership contracts have already been finalised. The first official partner engagement was organised in the Espoo Metro Arena during the February Internationals Weekend. Finland will defend its two consecutive world championship gold medals in the upcoming WFC 2020. The theme of the championships is ”More” and the idea is to organise championships that offer more than before to all its stakeholders. The goal is to attract over 100 000 spectators to the event. 16 national teams will participate and the event will be the biggest international sport event in Finland in 2020. The Finnish Floorball Federation has already announced its official partners for WFC, which is exceptionally early. On top of four IFF partners and the city of Helsinki there are now 15 official WFC 2020 partners on board. – According to the theme of WFC 2020 we want to also give our partners more, says Jari-Pekka Jouppi from the marketing agency i2, who is responsible for partner sales. – The two year period enables productive utilisation of partnerships and that is the reason why the partners are on board already, Jouppi continues. The official partners for the WFC Helsinki 2020 are: Craft, Dachser, Säästöpankki, Sanoma, Taksi Helsinki, OP Vakuutus, Fishermans Friend, XZ, Eerikkilä Sport and Outdoor Resort, Tupla+, Stadium, Ticketmaster, Sponsor Insight, Ideapark and i2. – During our first meeting with the partners it was noticeable, that we have an exceptionally excited and active group of partners with us already at this stage of the project. 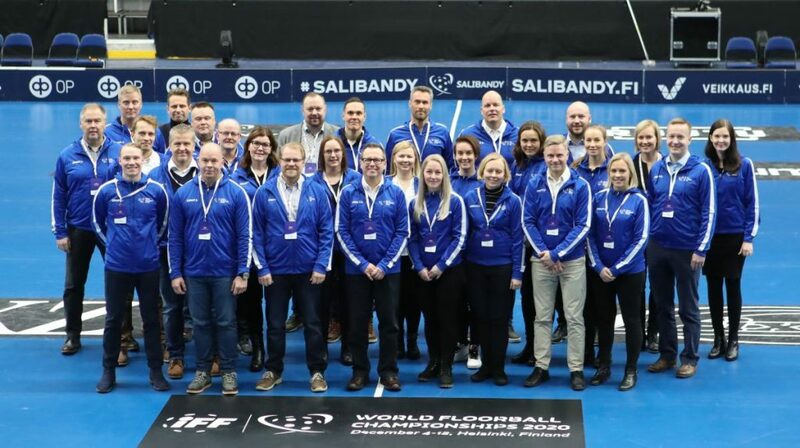 I’m looking forward to see what we can do together during this two year journey that we have coming up, says the WFC 2020 Event Director Hanne Pirkola from the Finnish Floorball Federation. The organisation also works closely with the Hope association and the aim is to create opportunities among sports and other hobbies to those who can’t afford them otherwise. Another important value of the championships is to encourage corporations to promote exercise amongst their employees.